The popularity of the Great British Bake Off, and many spin off shows around the world, has put baking close to the top of trendy topics, somewhat unexpectedly. A couple of years ago, when the baking based revolution first started, Scrummy Casino took immediate advantage of the opportunity. There’s a few casino sites based on cakes and the like at this point, but compared to most other themes, not too many, and that gives Scrummy Casino arguably the closest thing that the iGaming market offers to a niche. The levels of competition between online casinos has never been higher, and as a result, new and established sites are having to work very hard to keep afloat. Having been released back in August of 2015, Scrummy Casino is unfortunate in that it doesn’t yet feel established, but due to the plethora of new sites that have arrived in the time between then and now, it doesn’t feel fresh or new either. This means that Scrummy has to work that little bit harder than most to make sure it doesn’t get lost in the shuffle, something that is far from easy to accomplish. It’s going to take a hearty combination of content, customer service, and style to achieve this mission, does Scrummy Casino have what it takes? The design at Scrummy Casino is not the most eye-catching that you will ever see, simple blocks of colour with a couple of cakes thrown in for good measure make this mobile casino one of the simplest, but as a result, it is also one of the easiest to use. There is a little too much emphasis attached to complex concepts these days, to the extent that many sites forget that they are supposed to be casinos, and end up feeling more like art exhibitions, or exercises in how complicated site design can be if you put the effort in. This means that Scrummy Casino stands out from the pack due to its minimalist, easy to use approach. Navigation could not be easier, with thumbnails allowing instant access to a host of different games, and game categories and sections of the site such as promotions being clearly labelled and simple to find. The predominantly pink and orange colour scheme could get too much, but based on the limited use of them, they don’t, and, obviously, the colour scheme fits the cake theme perfectly. Scrummy Casino is proof that less can be more when it comes to the design of online casino sites. Casinos in the modern market require games from a host of different software developers if they are going to compete with the big guns of the industry. Having excellent games isn’t enough anymore, players need variety too, and this is where Scrummy Casino trips up a little. With titles coming from Cozy Games and Microgaming, there’s a good amount of top-quality games here, but not enough in comparison to the site’s rivals. 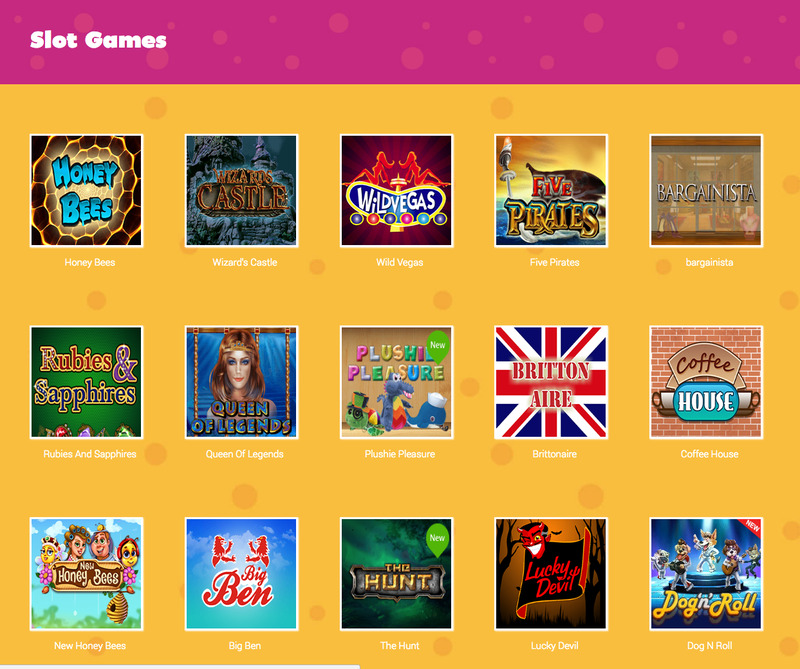 In fact, this is the casino games selection that you would expect to find as a bingo site, a few great games there to play on a site that is dedicated to something else. But Scrummy Casino is dedicated solely to casino play, and there are not enough games here for that to be true. This can be fixed, a few more software developers providing the titles, and Scrummy Casino could become a top-class, competitive casino, but until that happens, it is going to be constantly outranked not only by well-known sites, but also by the majority of new releases that hit the market and immediately offer a wider games selection.